One of the wealthiest and technologically advanced economies in the world, the United Arab Emirate state of Dubai have recently announced plans to create the world’s first, indoor climate controlled city. The grand project is set to cost in the region of $6.8 billion to complete, and will include a self-contained theatre district like that of New York’s Broadway, a network of retail outlets styled after London’s Oxford Street, fully pedestrianised streets modelled on Barcelona’s Las Ramblas, hotels featuring over 20,000 rooms, secure underground parking, and the world’s largest indoor theme park which is set to rival Disneyland for its imaginative, fairy tale design, amongst other attractions. The iconic ‘Mall of the World’ as it is to be named does not yet have a set construction date, so there is plenty of time to start saving those pennies! If you can’t wait for that shopping spree though, we’ve found you some of Europe’s best shopping malls to splash your cash around at! Who says you have to even leave the country to indulge in some retail therapy? 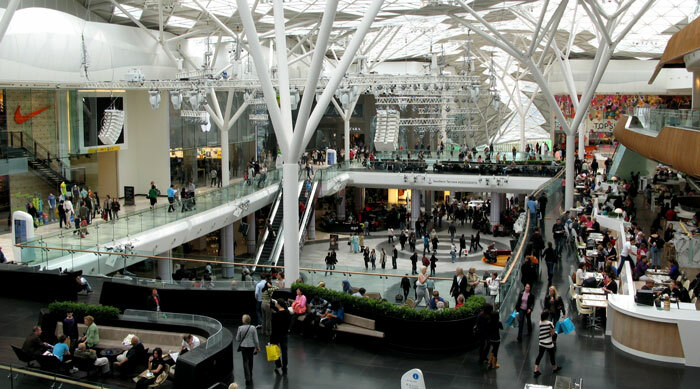 The UK’s largest shopping centre, Westfield London is home to over 300 shops, ranging from high-street heroes like Topshop and H&M, to celebrated luxury designer brands like Louis Vuitton and Prada. With a wide range of bars and restaurants to keep you sustained whilst you shop, and a giant Vue cinema to keep retail-reluctant kids happy, what more could you wish for? Originally a post office way back in 1899, before you even step inside the stunning, neo-gothic stylised building, you know you’re in for something special. 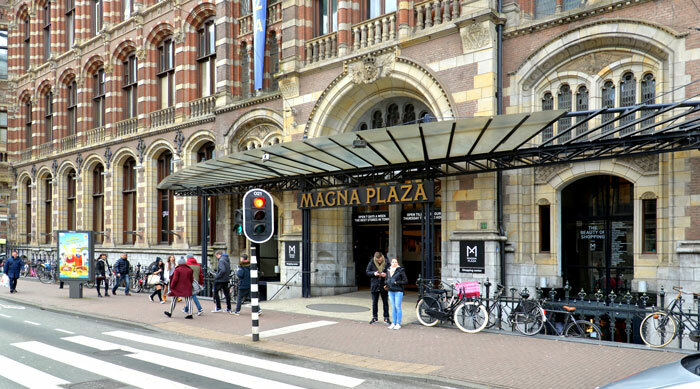 A practical shrine to boutique designer shopping, Amsterdam’s Magna Plaza is 4 storeys of stunning marble floors and towering columns. Featuring only 20 stores, there is a real sense of exclusivity in this beautiful mall. Set right in the heart of cosmopolitan Amsterdam, it is definitely worth a visit! 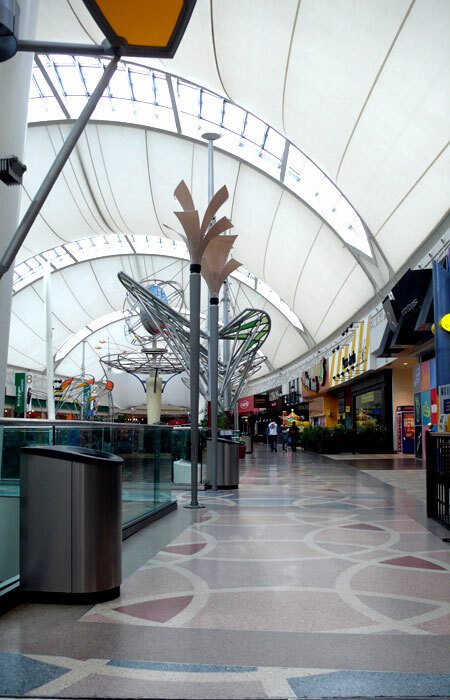 One of the largest shopping centres in Europe, the Xanadú centro commercial just outside Spain’s capital, Madrid, is home to not only a fantastic array of shops, bars and restaurants, but also a cinema, mini-golf course, go karting track and an indoor ski slope! A practical playground for the whole family, a trip to Xanadú is perfect for those, (granted, incredibly rare) rainy days on your Spanish holiday. One of the most fashion-conscious nations in the world, there is not much about style that the Italians don’t know, or didn’t create. 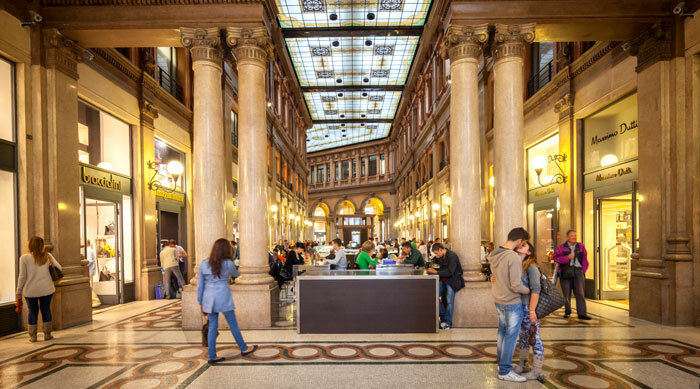 Naturally therefore, the Italians boast some of the best shopping facilities in Europe. The grandiose Galleria Alberto Sordi on the Pizza Colonna in Rome, is practically a landmark in its own right. The palatial design of the V-shaped concourse, lined with an eclectic mix of designer boutiques and exclusively Italian brand stores makes for a bourgeois shopping experience in the heart of the capital. 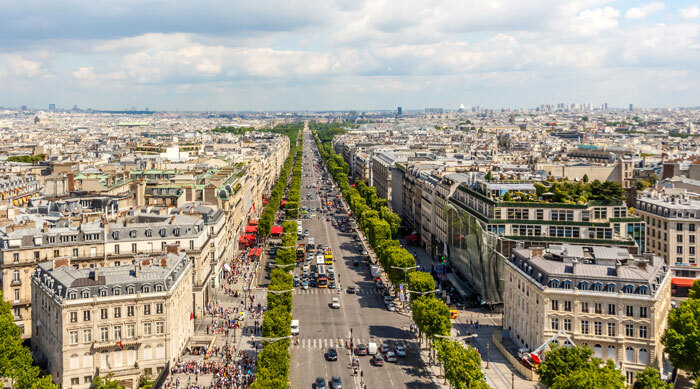 Ok… so it isn’t technically a ‘mall’, however, the Champs Élysées is probably the most famous shopping district in the entire world. Chanel, Louis Vuitton, Bvlgari, Cartier, Vivienne Westwood… the roll call of fashion house heavyweights adorning just one street is virtually endless. It is rumoured that pop power couple Jay-Z and Beyoncé do their clothes shopping here, so make like a superstar, and get yourself to Paris!